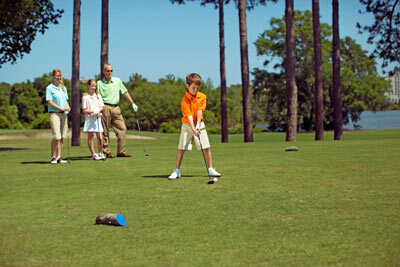 The Myrtle Beach area is known as the golf capital of the world. And with over 100 fantastic courses to choose from, it's easy to see why. With that number, everyone from beginners to seasoned veterans of the game can test their skills from the tee to the putting green. The area's 200-plus days of sunny skies only help to reinforce that the Grand Strand is a golfer's paradise. So, what are you waiting for? Come and tee off on one of our many wonderful courses that have been designed by some of the biggest stars of the game. Fore!